SRAM & MRAM Group provides ALDIS, fully integrated & real-time operative Airport Landing Dues Information System (ALDIS). The airport solution is the successor to the market leading ALDIS software which has been installed in over twenty-five airports. With the advent of IATA&primes 2D Barcode Resolution 722C/792 covering the use of PDF417 barcodes on boarding passes, airlines are now allowing passengers to print their own boarding passes, bypass the normal check-in process, proceed directly to security and speed up the transit through an airport. The major benefit is for frequent flyers, business travelers and passengers with only hand luggage.The ALDIS swiftly verifies the e-boarding passes on-behalf of the airport security staff with real-time information viz. 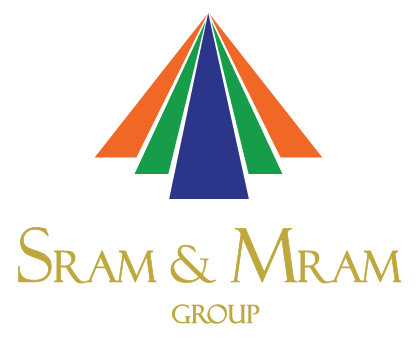 SRAM & MRAM Group with its two decade of technical expertise, can provide comprehensive solution for civil and military collaborative radar and procedural ATC, data processing and working positions. The fully integrated TWR-APP-ACC air situation awareness with surveillance, flight and airspace data processing complies with aviation standards, operational safety and reliability demands. The ATC / ATM systems include components used as independent systems or natively integrated with aggregated maintenance. The VoIP solution – inside and outside – based integrating radio, telephone, hot-lineand intercom, suitable as operational or fallback VCS system. Concept applied grantsthis VCS exceptional features and high level of resistance against failure. The traditional Digital NOTAM (D-NOTAM) reformed with AIXM 5.1. The task of ORION designed for airport is to collect, manage and avail a comprehensive database of NOTAMS. State of the art digital and analog voice communicationsystems (VCS), with flexible and customizable HMI andrecording options, optimized for low-band networks(VSAT)and compliant to ICAO and EUROCAE standards. IP VCS simulator(Voice@Net), used for controllers training in the field of radio and telephone communications. ScanSim(SIMULAVIA consortium), a simulation system which covers controllers training for radar and procedural control services. Ground to ground and ground to air radiocommunications: MF, HF, VHF, UHF, remote VHF/VSATstations, TETRA, INMARSAT. These core competencies apply to aeronautics and many other business fields inwhich SRAM is involved: oil & gas (offshore & onshore facilities), homeland security,transportation, power distribution. Skills aided with experience and knowledge: site survey, design, procurement, integration, installation & commissioning,onsite training, hotline & maintenance make up the bulk of a full range of basicservices that we delight to share with our customers. Air traffic controllers and service agents control andmonitor all of the systems, from the control tower orany networked location, thanks to our centralizedITWP software solutions. The group has association with the world leading manufacturers. Along with skilled integration abilitythat opens the door to the world of the most advanced technologies in the“safety/security” domain.